Creating animation is never easy as it is an art of storytelling, illustration, music and photography. Animators have to carefully analysis the movement and facial expression of characters in order to create the animation stroke by stroke, frame by frame. Any mistakes of one stroke can lead to remaking of a scene. A 3-minute animation might requires six months of production. Hong Kong animation has been developing for many years. Each animator has their own style and their way of storytelling. How can they make their stories more outstanding? Animated film production is an onerous work. How do different people cooperate in a large scale foreign production company? Can it be a reference for Hong Kong animators who usually do all the script-writing, illustration, post-production and even voice acting? 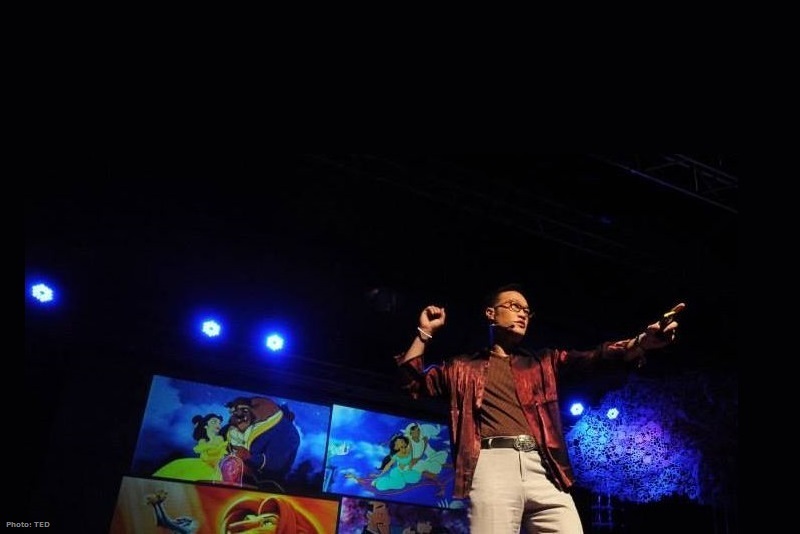 ifva has invited Davy Liu, the first Taiwanese animator in Disney. Not only has he worked in Warner Bros Animation before, but he is also the founder of Kendu Films. He is going to talk about how he transforms from a young Taiwanese who did not like studying to an international renowned animator during the Public Talk. In the Artist Mentoring Workshop, Davy will share his experience working in a foreign animation production company. 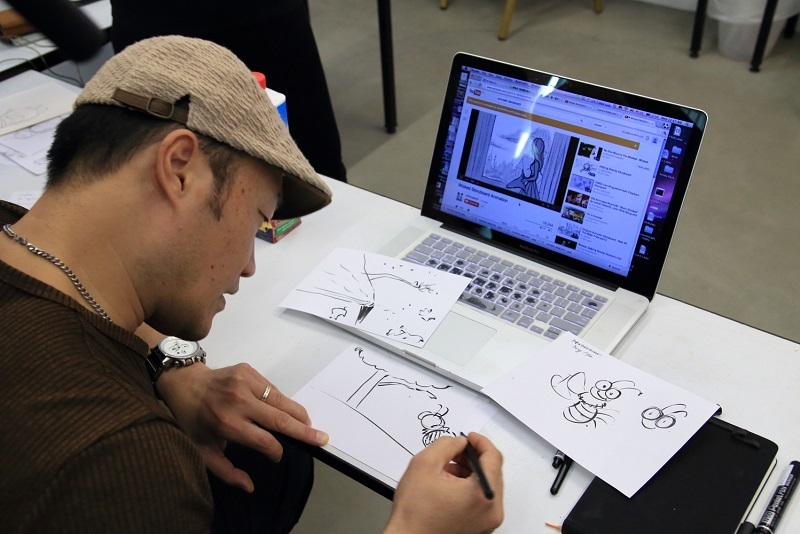 Participants are able to have more interaction with Davy by bringing their own animation, comic or storyboard to the workshop. It is a great chance for exploring the unlimited possibilities of storytelling through paint brushes. There will also be exhibition of Davy’s manuscripts and animations. Davy Liu’s passion for his work was instilled in him from the very beginning. As a child, he loved to use pencil and pastel on paper to capture things he took visually. Davy’s family immigrated to the United States from Taiwan when he was thirteen, and he sought refuge in his natural talent – art – as he struggled to adapt to the new culture and language. 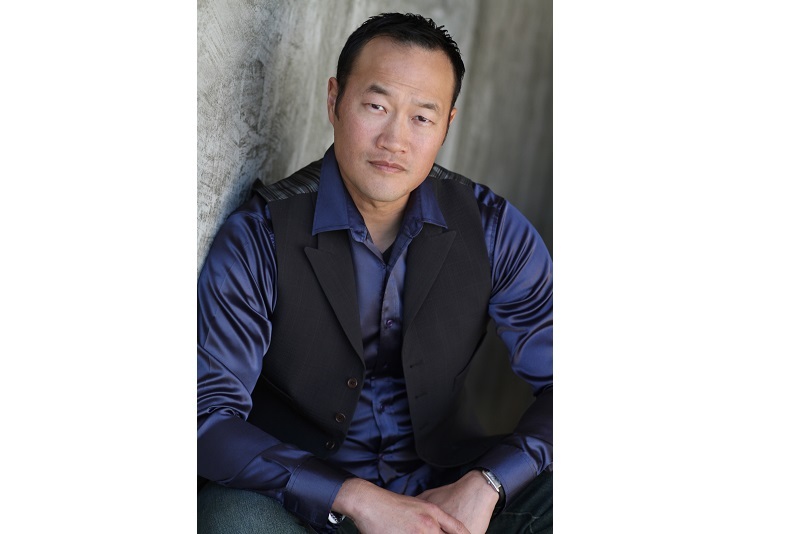 After graduating from Ringling School of Arts and Design in Florida, Davy became the first Chinese to join Walt Disney Feature Animation and worked on such films as Beauty and the Beast, Aladdin, Mulan and The Lion King. His talents had brought him to work for George Lucas at Industrial Light and Magic and Warner Bros. Feature Animation, and his illustrations have graced the pages of prominent publications such as Business Week, Time Magazine and Wall Street Journal, of which he was nominated as the most distinctive illustrator in 2000. Davy founded Kendu Films in 2004. He is working on a series of animation and picture books call the Invisible Tails series retelling historical stories in a brand new perspective. Participants should have basic knowledge in animation or illustration production. Participants should submit their animation or illustration with brief description of content and production stage while applying for the purpose of selection and workshop. Successful applicants will be notified in early September.